As outlined in the post about my a/v collabs with Dr.Griffin those remixes i did for him were from artists of the nice German based netlabel DAST Net Recordings. Stas Dauer and Benjamin Strehm (Strehm, Funke7) are the founders of DAST; the label features artists from Germany, Russia, Greece, Mexico, UK, and Italy, and has good connections to other netlabels, it's also spreading out to russia, through techno-locator who features DAST Net releases. After the Remixes of TAC.tiC's "The Luigi Pop TV" and Strehm's "Darkwhite" Stas contacted me on YouTube and asked if i would like to remix one or two tracks of the new release by Ben, Funke7 - Days Of Orange Sunshine, and send me the demoversions. I liked what i could hear - very well produced tasty minimal techno tracks - and for the title track i had the idea of taking Cat (CXXXVI) on board so i asked back if it would be OK if one of my remixes was a THE WEB & CXXXVI Remix, with vocals in it (and lyrics that fit the title). I knew that live vocals was not common at all in minimal techno - if vox are in, it's timed samples, used as fx like a keyboard, and i was quite surprised as Stas answered that this was of course OK. So Cat and I did the "Days Of Orange Sunshine" Remix that we included in our 10284 Miles project - very cool that Ben (Funke7) agreed on this as it's still his track. The second track i chose for doing a remix was "Von und Zu" - i gave it a powerful, quite dirty and also a bit spooky treatment. 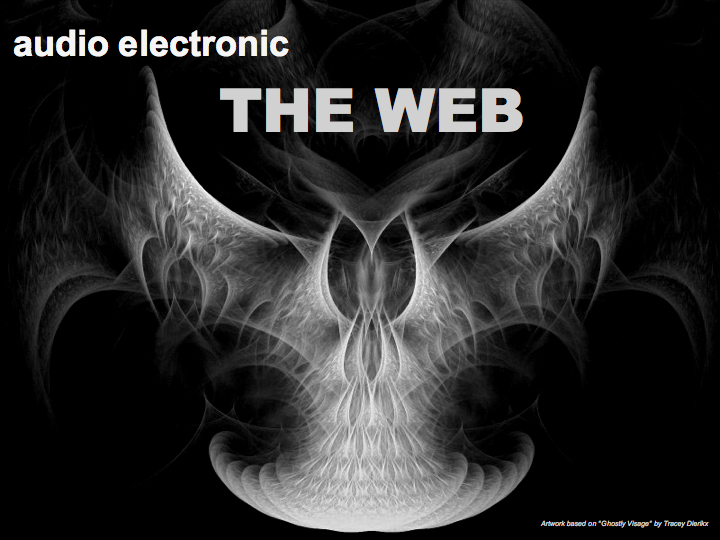 The two remixes are of course included in the release of the EP (DAST027) in January 2012. The cover art is a pic from our Orange Sunshine Remix video clip. 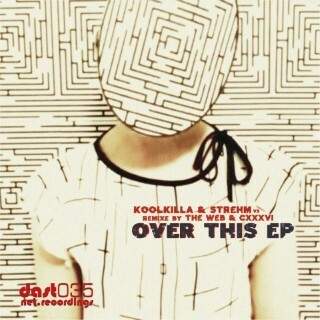 In April 2012 we had another opportunity to do some WEB & CXXXVI remixes - for the new release of Koolkilla & Strehm on DAST. This time i picked "Pegasus Race" and "Little Girl Together We Are Strong" for the remixes with Cat. As the originals sound quite special and minimal is a rather hard style for me (you know in my tracks i always tend to the max, rich and boombastic stuff...) this was quite a challenge. Not only for me but for Cat too, as in "Little Girl" there was not many melodies to stick to for her vox. However, i am very happy with the result of those two remixes, we both gave our best, the tracks follow the original closely but are also typically WEB & CXXXVI :-) I also did a solo remix again, on the track "Over This". As i had sent the final tracks to Stas he sent me the link to preview the release - and this gave me a big smile: They included us in the whole work as they entitled the release "Koolkilla & Strehm vs THE WEB & CXXXVI - Over This EP", and they had chosen a stills pic from our Pegasus Race Remix video for the cover art :-)) The EP was released as DAST035 in May 2012. 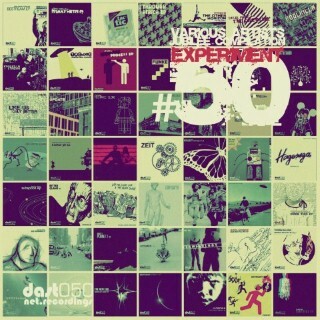 With their 50iest release, DAST planned to do a huge compilation to show the variety of their artists and their tracks on it; when it was finished they called the release "Various Artists - Experiment #50 (The Jubilee Compilation)". Cat and I were invited to provide one or two tracks too, however when we received the request there was not much time left and we were not sure if we could do two tracks or only one, but we wanted provide at least one. In the end we managed to do two tracks for this anniversary release. I tried to keep it raw and simple but with a proper sound, and Cat reacted instantly and provided the perfect song to them. "Common Sense" is stripped down minimalistic techno with a deep sound and mood, whereas "The Sky Isn't Really Blue" is a rather dirty, raw and punky sounding pounding techno with distorted bassline and chords. When my friend Leslie Von Dees heard "Common Sense" he asked me if it was possible he did a remix of it. The release was already scheduled but Stas at DAST Net Recordings waited for another few days to include LVD's Remix of Common Sense in the release too - what a cool guy!! Leslie did a beautiful atmospheric remix, it's emixwork at its best, keeping the spirit of our darker original. 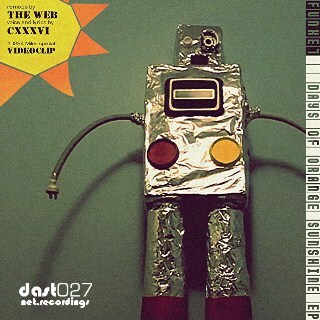 click to download "THE WEB & CXXXVI - Common Sense"
click to download "THE WEB & CXXXVI - The Sky Really Isn't Blue"
click to download "THE WEB & CXXXVI - Common Sense (Leslie Von Dees Remix)"